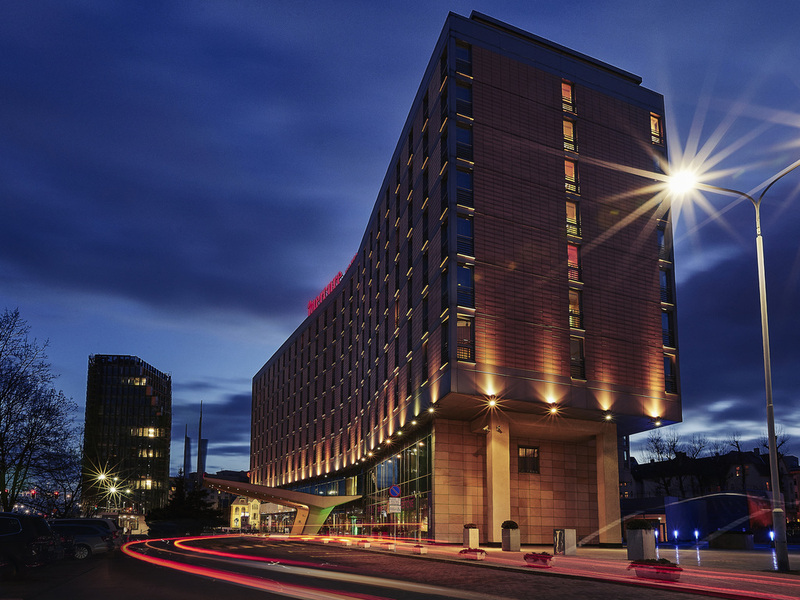 The 4-star Mercure Poznan Centrum is located in the business area of Poznan, next to the fair grounds and within walking distance to the Old market Square. Just 15 minutes drive from the international airport and 5 minutes walk from the main train station. Enjoy our excellent conference facilities, WINESTONE Restaurant and the hotel`s own pastry shop. The hotel has 228 air-conditioned rooms with free WIFI, fitness center,sauna and large car park. Our restaurant is located on the ground floor and serves buffet breakfasts, lunches and à la carte dishes. Enjoy our delicious menu that combines regional and international cuisine. A real culinary revelation, Winestone delights with its wide choice of wines from around the world and outstanding dishes served on stone pads. Take a culinary journey and explore our tasty cuisine at an attractive price. Excellent stay, nice team, comfortable and clean rooms. Everyone was very helpful. Service was great. Room was really nice. Very nice and clean rooms. Nice conference and meeting facilities. A bit noisy location. Average food. A well equipped, clean and quiet room, ideal for staying and hosting a conference. I checked in late at night and was asked to sign here and here, then the paper was taken away. Next morning I woke to discover I had been signed up to a loyalty program - just like the one recently hacked from another hotel group. No obvious way to decline, yet alone yell that you just broke GDPR. After a lot of effort I got to a page where I could send a message through (which of course, unlike email, you have no formal record of) - guess what? They totally ignored it. Not impressed. 15 minutes from the airport, wide and elegant common areas, rooms at 5th and 6th floor just revewed, super comfortable bed, excellent choice for breakfast and very good restaurant. Comfortable, and convenient. Excellent breakfast, bar and restaurant. Facilities are clean, modern and comfortable. Staff is superb: polite, helpful, and attentive to requests and needs. Location excellent: right 20 yards/30 meters walk from the Rondo Kaponiera public transportation hub; located inside newly developed up-scale shopping and restaurant/coffee shop area adjacent international trade center; yet, embedded within a marvelous old neighborhood of Poznan across from the historical German Imperial buildings, now occupied by modern, interesting museums, concert halls, theater, and the Adam Mickiewicz University Poznan; short walk or tram ride to old city center. Superb hotel. Everything was lovely, from checking in to the beatiful hotel room with comfortable room, the WI-FI was strong, breakfast fantastic ... no complaints, really. Cordial and friendly hotel staff. Excellent amenities and cost was very reasonable. Overall very good. I had a dirty hot water pot, and the hotel cleaned or replaced it upon request. I think they used to provide eggs cooked to order, but this was not offered during my recent stay - that would be nice. they have a very nice breakfast though. Could have better treadmills and the sauna was never on when I was in the fitness center. However, overall happy with my stay. I had a very nice welcome at the reception with friendly staff and seamless check-in. The room was great, on the quiet side of the hotel and at the end of a corridor so very quiet. My only complaint this time would be the breakfast. Not much fruits variety and if you don't want to eat animal product like me, you are quite limited in choice although it is still possible and they provide soy milk. Nice atmosphere, user friendly staff and good services.